For those of you that have become tired and bored of the "typical" clock, here is an alternative- an old fashioned and totally cool Retro Fashion Flip Down Clock! We all know that watching two hands go around in a circle can get tedious and digital clocks aren't exciting at all. 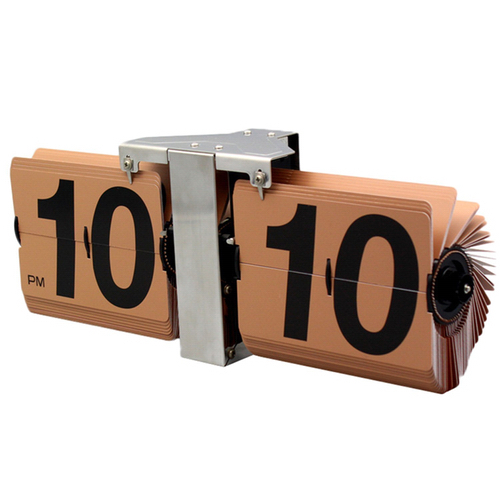 Hence, this flip down clock creates a good ol' fashioned vintage feel in any home, while also being fun to look at.